Barber scissors are super sharp and ice tempered making them ideal for personal or professional use. Scissors have plastic handles and a steel blade. 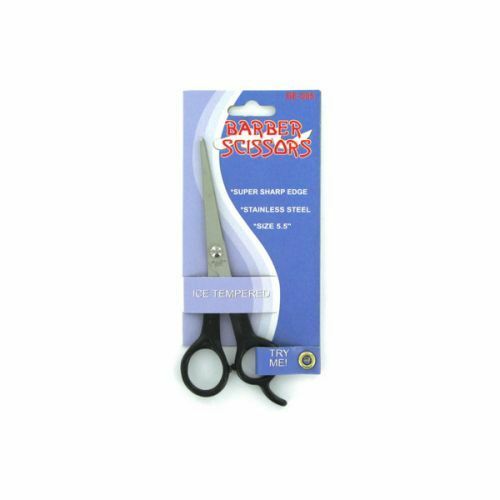 Scissors are packaged on a tie card with hanging hole. Scissors measure 5 1/2".